Keima's classmate. A quiet girl, in the class she usually reading alone and does not actively interact with other. 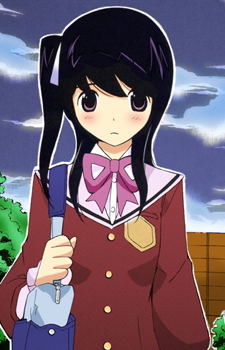 From the start, she already have an interest on Keima and always looking at him. Different with her sister, she is not good socializing with people, to fix it she joins tea ceremony club and always participates in the class activity. But it doesn't go well and talking with others too much makes her want to puke. She can talk normally with her family. Her name is derived from Yoshino Station ( Yoshino-eki). In the anime, she appeared during the Chihiro Kosaka Arc and also during certain different parts. Her desk is in the same column as Keima's and is only two desks behind him.